“Mavromatis Kumquat Distillery” was established in 1965, as a family-run business, specializing in special kumquat liqueurs and sweets in jars, obtained from the distillation of the unique kumquat. The production capability is one million bottles of liqueur and fifty tons of kumquat sweet. Moreover, the distillery produces ouzo – raisin brandy and twenty fruit-flavored liqueurs. Unique handcrafted products with carefully-selected raw materials for products of the highest quality. “Mavromatis Kumquat Distillery” produces Kumquat products such as Jams, Mandolato, Marmalade, Loukoumi delight, Mandola, Baklava and Extracts of Kumquat. Also, it produces classic Mandolato, Loukoumi Limoncello, Loukoumi Rose Petals, Fig Pie, Baklava with almonds, Limoncello and Ouzo. Kumquat liqueur produced by the distillery of Mavromatis, using carefully-selected raw materials, constitutes one of the most popular soft drinks on Corfu. Before tasting the unique flavor of this liqueur, take a moment to savor the scent. 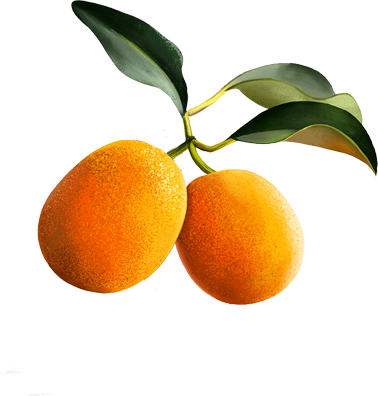 We pay much attention to detail concerning bottling and thus you can find a wide variety of bottles for kumquat liqueurs that would surely meet your preferences. The white extract of kumquat liqueur is produced according to a traditional recipe of the Mavromatis family. It can be served after meals but also you can mix it into your drink or cocktail. The idea of adding this white extract to a cake, ice-cream or fruit-salad would be great! Our distillery produces a great amount of traditional Corfiot sweets, such as mandolato and classic or kumquat-flavored mandola, loukoumi and baklava, as well as kumquat marmalade in different jars, that may be the best presents for you and your friends after leaving Corfu. Whoever comes to Corfu wishes to buy at least one traditional Corfiot product. The distillery of Mavromatis prepares the most popular products of Corfu, including some more creative tastes such as Baklava with kumquat, Cookies with kumquat and Loukoumi Kumquat. Do not forget to try the kumquat-flavored mandolato, the brilliant fig pie, being prepared with adherence to quality and tradition. Limoncello is a tasteful, refreshing liqueur, usually served to aid digestion. You can pair limoncello with your preferred fruit or sweet or you can mix it into your drink in order to create a cocktail. Find limoncello among our products list and become familiarized with the Corfiot tradition. Ouzo is the typical drink of Greece. Almost every visitor in Greece and Corfu does not miss the chance to taste it. The distillery of Mavromatis focuses on the finest bottling of ouzo in order to sell ouzo products of the highest quality. What is it about Kumquat? The distillery of Mavromatis is located in the area of Skripero, on Corfu. This island’s remarkable tradition and culture are widely known to many tourists that visit Corfu every year. “Mavromatis Kumquat Distillery “ specializes in creating liqueurs and sweets from kumquat oranges, the traditional fruit of Corfu and other products with much attention to detail and quality. The distillery ‘’Mavromatis Kumquat’’ was founded in 1965 as a family-run business that specializes in manufacturing and bottling of Kumquat liqueurs and sweets. The production capability reaches one million bottles and fifty tons of Kumquat in jams and sweets. Our factory manufactures a great variety of other products as well, such as Ouzo, Brandy and twenty fruit-flavored liqueurs. Sign up for receiving info on new products, offers and news about “Mavromatis Kumquat”.